Experiment in Mr. Kleks laboratory, journey into middle of Earth and meeting with exploding volcano. 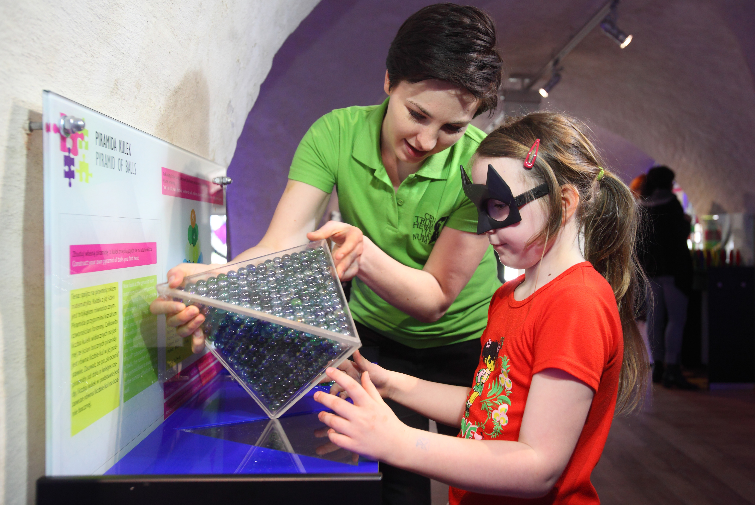 Biggest mathematical mysteries and time travel machine that will take you on a trip into the past – interactive exhibitions of Centrum Hewlianum allow kids and adults alike, to have fun and learn about our world! This modern science center, located on Góra Gradowa (Hail Hill), is a great incentive for learning about the world and the laws that rule it, at the same time being an amazing family fun! Free entrance with Touris Card: Family&Fun Package and Sightseeing Pacakge.